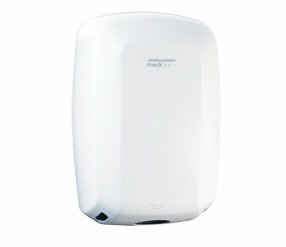 Architectual quality, reliability and innovation. 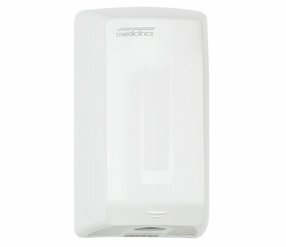 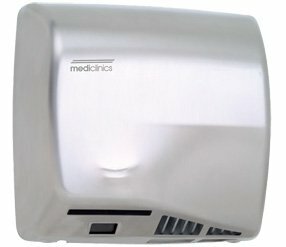 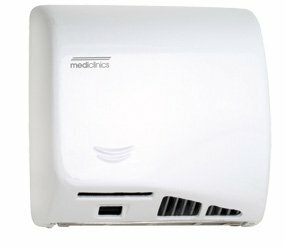 Mediclinics is the worlds largest exporter of hand dryers with a reputation for extreme reliability, market leading features and performance. 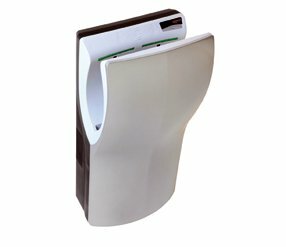 European design, manufacture and components quarantee extraordinary quality. 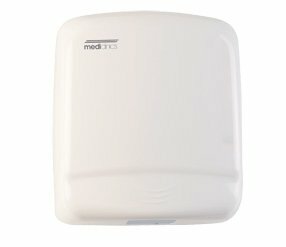 Constant innovations keep the manufacturer at the cutting edge ensuring Mediclinics is easy to specify for any type of building product. 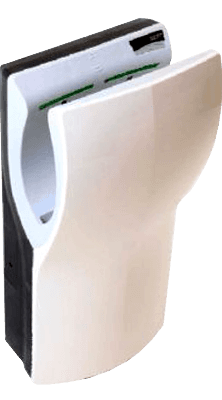 With quality assurance to demanding European guidlines and stringent international certification requirments for design, performance & saftey all adding up to extraordinary quality of manufacture. 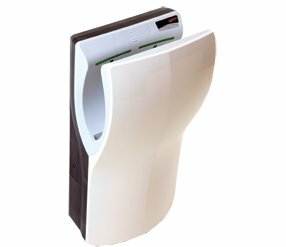 Great quality inspires great confidence resulting in the best warranties in their respective classes. 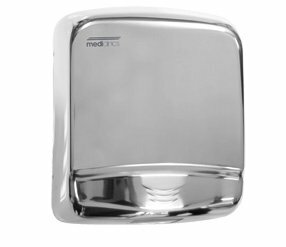 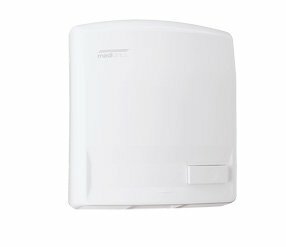 The M14A is a state-of-the-art hand dryer that represents a complete redesign of the traditional style. 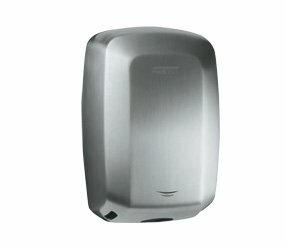 These units are manufactured in Europe, not China, and come with an amazing 7-year parts and labour warranty. 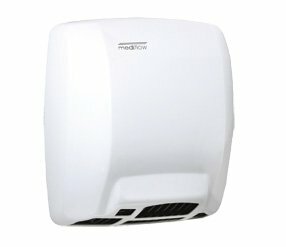 The dryer is fully automatic and available in standard white or satin finish as an optional extra. 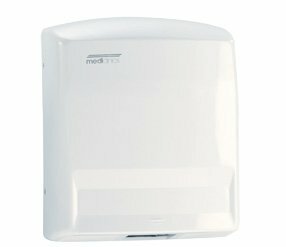 The M14A features an adjustable motor speed rated at 420W, 12 sec dry, 65db noise or 1100w, 10 sec dry, 68db noise. 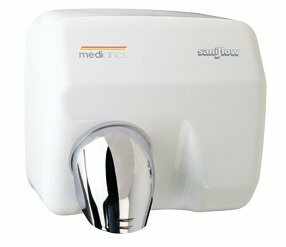 It costs less and uses less electricity than its main competitor, and based on price and performance, the M14A Dual flow is a game changer. 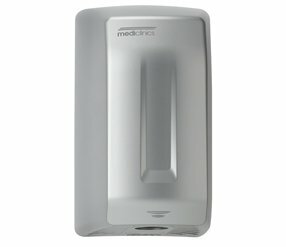 This unit has Biocote® antimicrobial and antibacterial protection technology based on silver ions. 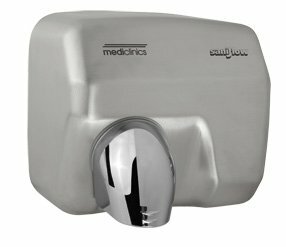 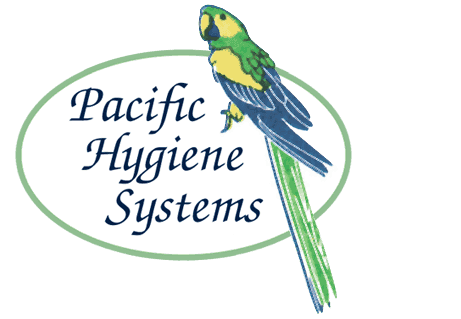 The ions inhibit the reproduction of micro-organisms in the product throughout its lifetime. 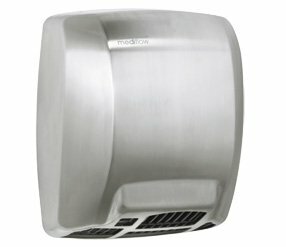 Optima White steel, Satin or Chrome Stainless Steel. 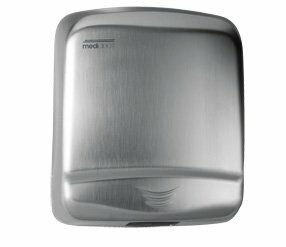 Machflow White steel, Satin or Chrome Stainless Steel. 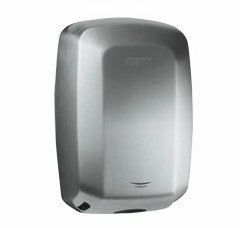 07 3274 5622 for all of your hand dryer and washroom requirements.